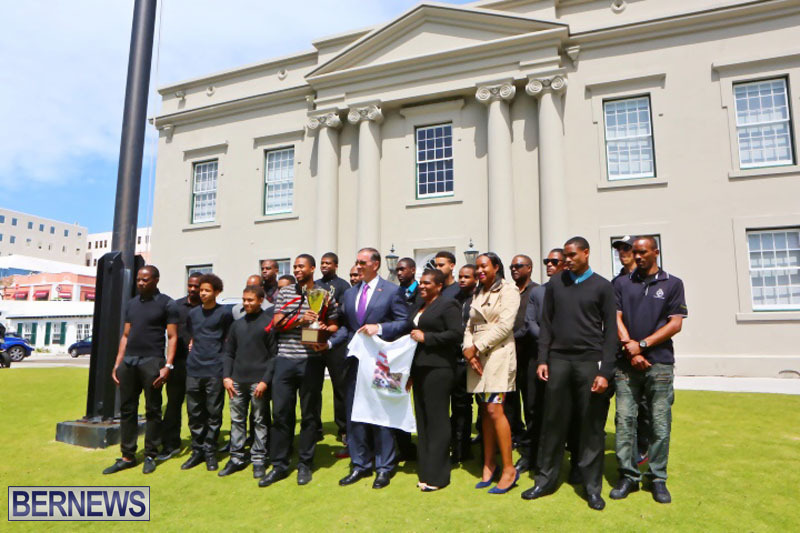 Earlier today [Apr 7], Premier Michael Dunkley; Minister of Community, Culture & Sports Pat Gordon-Pamplin and Junior Minister Nandi Outerbridge welcomed recently crowned Premier Division League Champions Somerset Trojans to the Cabinet Office. Last week, Somerset Trojans won their first league title in 22 years following their defeat over Southampton Rangers. 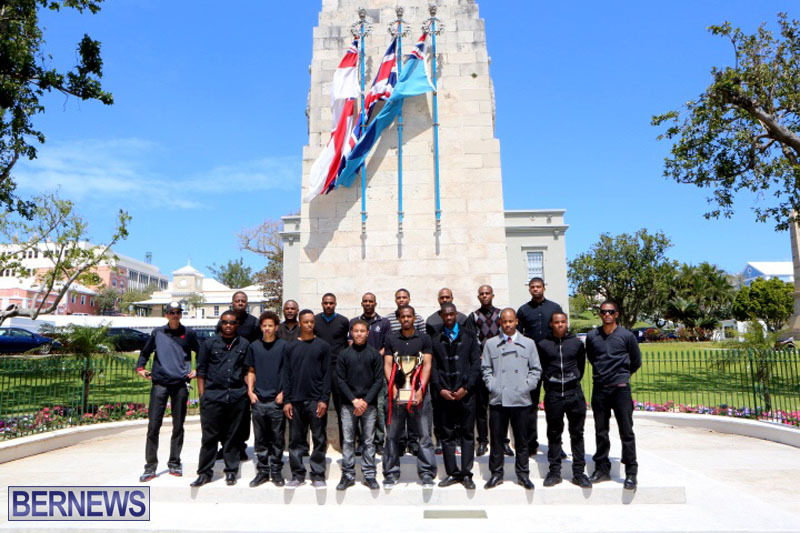 In acknowledging the team, Premier Dunkley said he believed it was important to recognise those individuals and groups who are doing “great things in the community”. 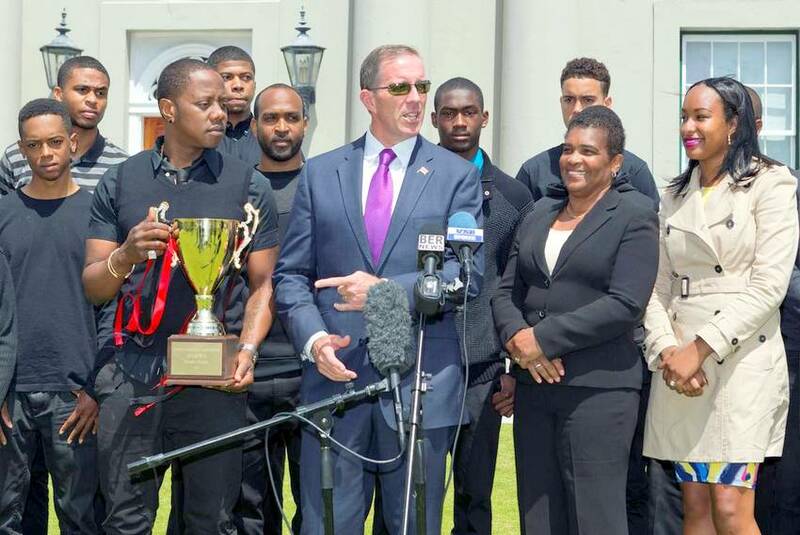 Noting that sports is something that unites our community, the Premier said that Somerset’s win demonstrated that “perseverance truly pays off”. 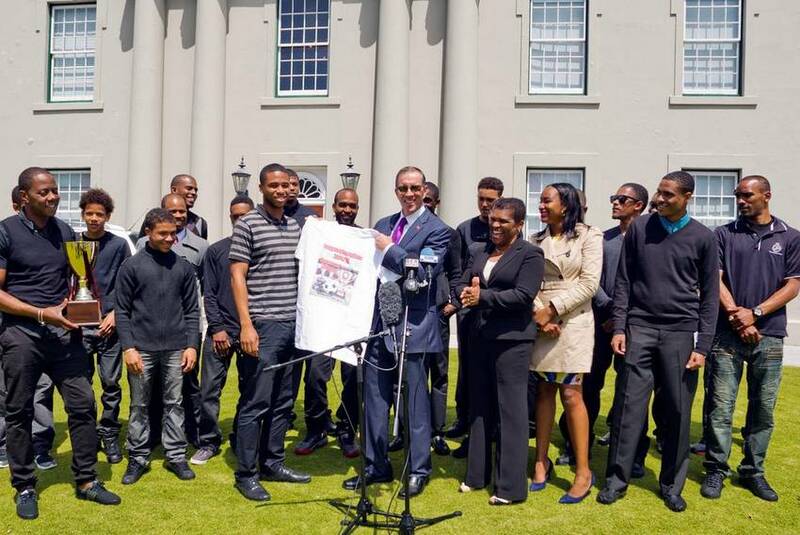 Premier Dunkley closed this afternoon’s recognition by calling the team members “role models” for Bermuda’s young people, and congratulated technical director Dennis Brown, coach Denvers Seymour Jr. and assistant coach Mark Trott for Somerset Trojans’ success. 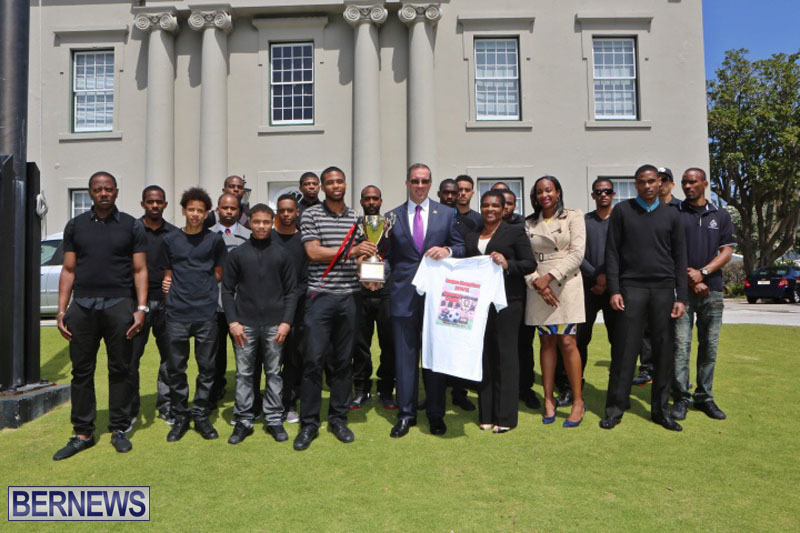 Yes sir’e, Somerset Trojans are once again “the BIG dog in the yard”…From your fans, congratulations to everyone! He should also congratulate the Speaker of the House !!!!!!!!!!!!!!!!!!!!!!!!!!!!!!!!!!!!!!!!!!!!!!!!!!!!!!!!!!!!!!!!!!!!!!!!!!!!!!!!!!!!!!!!!!!!!!!!!!!!!!!!!!!!!!!!!!!!!!!!!!!!!!!!!!! 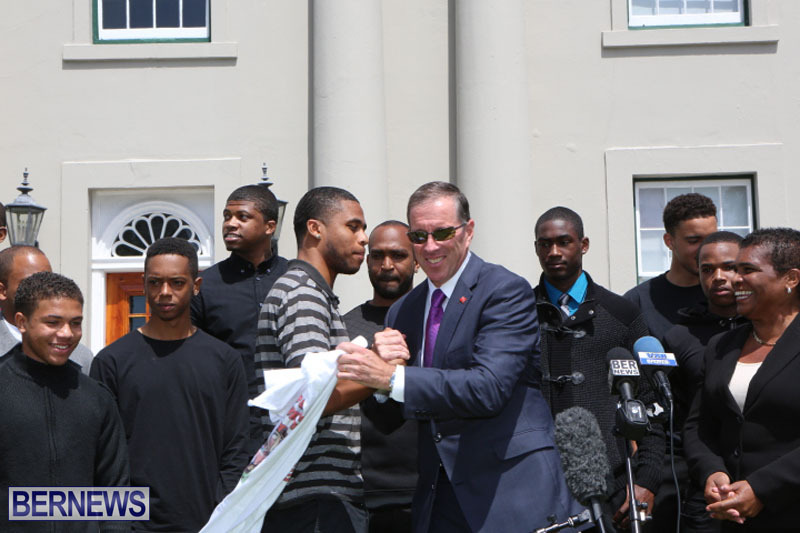 The Premier got some DAP lol! Gotta love it. HOT PEPPERS STILL D GREATEST!! Jeez, Somerset Trojans….you could smile. You won, did you know that? First, Congrats Somerset on your win! Secondly…In the past they have invited the winners of the First Division and Premiere Division…that being said…Boulevard Blazers won the First Division title about 3 weeks ago and have not been invited to date…I wonder why?